Find out what this is about in our press info (PDF). 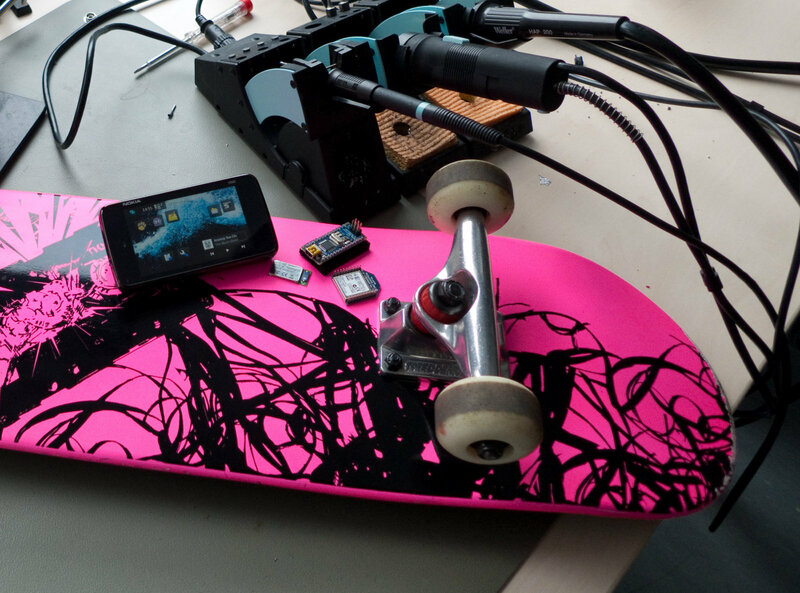 Read more about the the Solderin' Skaters in our Nokia PUSH N900 blog . 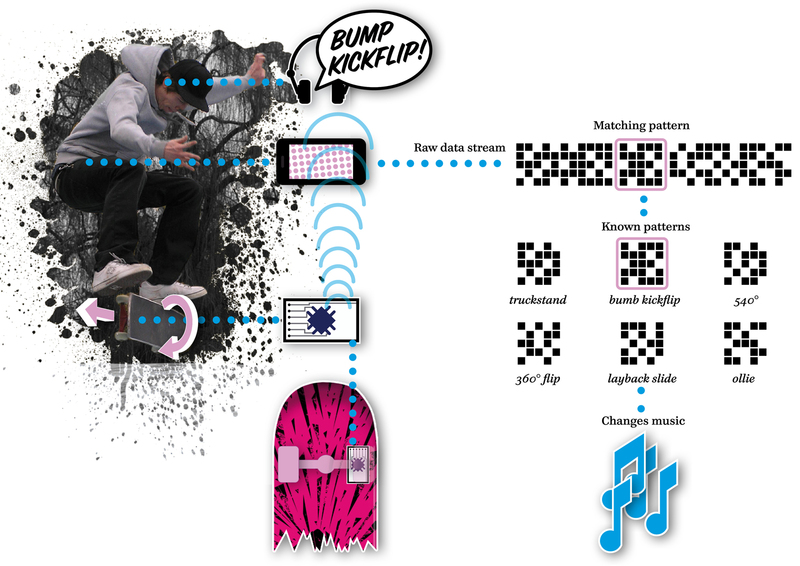 Or read our paper A method for outdoor skateboarding video games in ACE '10: Proceedings of the 7th International Conference on Advances in Computer Entertainment Technology. Tilt 'n' Roll. 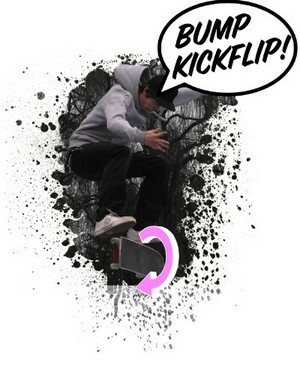 A real life skate game on a Nokia N900. Check out our Flickr Page for photos.